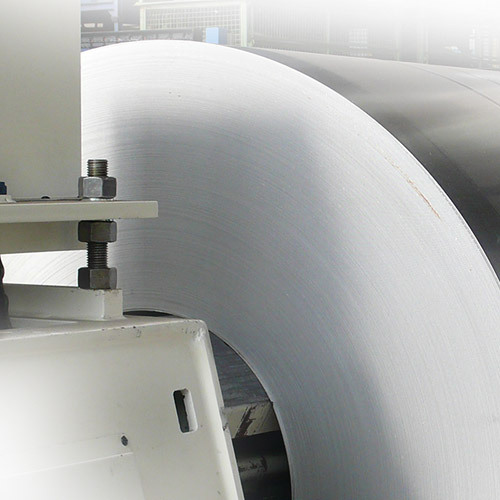 Rolled strips in the metal industry are wound on coils for transport. For the later processing when the coils are unwound, it is important to know how much material has already been unrolled. This task is simple to solve by using an optoNCDT ILR optical length sensor. It continuously measures onto the surface of the coil and thus records the diameter. The diameter of the coil reduces due to the unwinding which is measured using the increase in distance from the coil surface to the sensor. Using the coil thickness, the material length can be recalculated using specific algorithms.